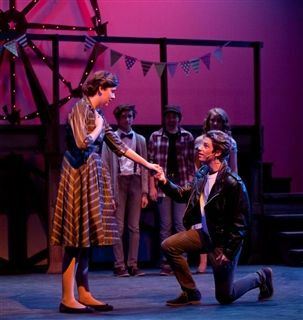 Congratulations to the cast of this February's Upper School musical, All Shook Up, on being recognized by the National Youth Theatre Association. Hannah LeBeau '19 and Catherine Ames '16 won 2015-16 National Youth Theatre Awards for "Outstanding Lead Actress in a Musical" and "Outstanding Supporting Actress in a Musical," respectively. 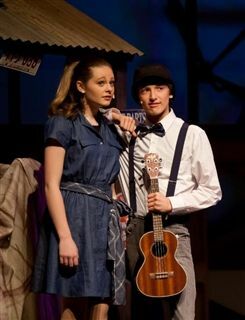 Nick Hamparyan '18 received a nomination for "Outstanding Lead Actor in a Musical," and the entire cast earned a nod for "Outstanding Ensemble." Additionally, Rachael Bell '18 was awarded "Outstanding Lead Actress in a Musical" for her work in the North County School of Arts' production of "Into The Woods." More than 500 productions, in more than 70 cities, were considered for this year's awards.